A loan of $5,000 helped purchase and produce high quality products that will bring enjoyment to many people's lives. I was raised in a large family to understand the benefits of eating fresh and organic foods. My grandparents grew up in rural communities where it was necessary to grow and harvest food on their own, so they taught us the value of consuming food in the harvest to table fashion. This idea resonated amongst all my brothers, cousins, and me as the next generation. My childhood ideals inspired my work later on in life, when I worked at the first ever farmers market in California. Later, I worked for a wholesale food company, and through my individual sales and marketing skills brought “Lydia’s Organics” into 26 different Whole Foods stores. Through my work at Lydia’s, I learned about the benefits of Himalayan salt, and became inspired to start my own company. Himalayan salt, the purest in the world, had been a staple in my life for the past eleven years. I knew the benefits of the product, and felt that everyone deserved access to this unique and mineral-rich resource. This is when I started my own business and implemented an aspect of charity into my business model in which I donate 10 percent of my net profits to Oxfam, The Dalai Lama Foundation, and The Marin Ceres Project. I started Buddha Salt in 2011 by importing food grade pink salts. Today, I offer Himalayan salt in 4 oz glass grinder jars as well as 55 lb bulk bags that contain coarse and fine varieties. Buddha Salt was born from my desire to offer a healthy alternative to the processed salt that people consume on a daily basis. Himalayan salt, unlike processed salt, is healthy because it contains natural minerals and trace elements that are as essential to life as pure water and organic fruits and vegetables. It is naturally procured from its original source and is over two hundred million years old, so it dates back to a time when the earth was in an environmentally pristine condition. My customers come from a variety of backgrounds, but regardless of age or occupation, they enjoy the taste and reap the benefits of Himalayan salt. Buddha Salt is spreading the value of Himalayan salt to a larger market of people by creating a new line of health and beauty products. The products will include bath salt granules, soaps, and skin scrubs. It is rare to find health and beauty products that contain the dynamic element of Himalayan salt. I am hopeful that I will realize the goal of expanding my business, and that I can use the success of my business to not only support my family, but the health of the San Francisco Bay Area. The purpose of this loan is to be able to expand my product line. I will be purchasing all the raw ingredients to produce the health and beauty products, this will cost $2,500. I will be manufacturing and packaging into small amounts for retail sales, this will cost $2,000. Delivery costs will be $500. By producing and selling this new line of products my revenue will multiply and my profits will increase substantially.This loan will help me expand my business and increase the visibility of my brand. This loan will help secure a better life for us and benefit our larger community at the same time by offering healthy everyday products at very competitive cost. Why are you endorsing Elizabeth? Buddha Salt is based on the twin tenets of health and community. 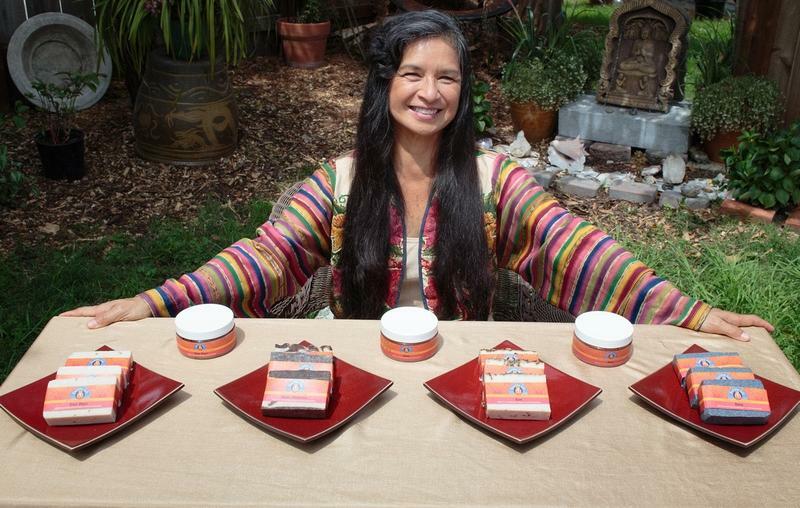 Through her Himalayan salts, Elizabeth shares the beneficial effects of purified crystals and community involvement. Elizabeth has incorporated charitable giving into her business model, and used her love and excitement for her product to drive her sales. A loan would enable Elizabeth to not only prop up her expanding business, but also better the physical and financial health of her community.